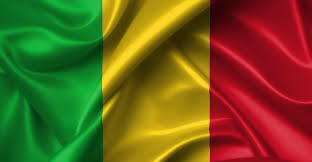 The secretary general of the National Union of Workers of Mali (UNTM), Yacouba Katilee has claimed that the strike by its unionists attracted a 95 percent following throughout the country. The UNTM, which is implementing its three-day action plan starting Wednesday, denounces what it called the high cost of living and calls for “the harmonization of the retirement age and workers' bonuses”. The administration, the banks and services as well as the public transport have slowed down, APA can report after the first day of the strike. The Malian Radio and Television (ORTM) has switched between instrumental music and international news instead of its usual news and regular programs. Meanwhile, the Labor and the Public Service ministry has denounced the apparent breakdown of the talks with the UNTM. It referred to legislative and regulatory provisions applicable in the event of a f strike, including minimum service and the withholding of wages.